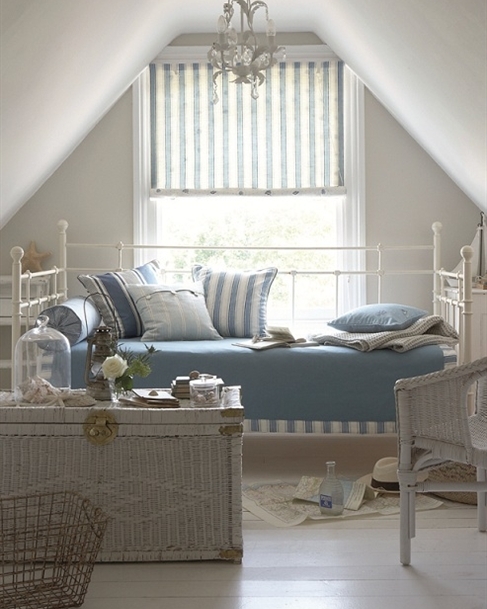 A Swedish blind has a very pretty Scandinavian look - you will need to choose two fabrics - one to back the other. The back fabric will be seen as the blind rolls up, so stripes and spots are particually suitable. 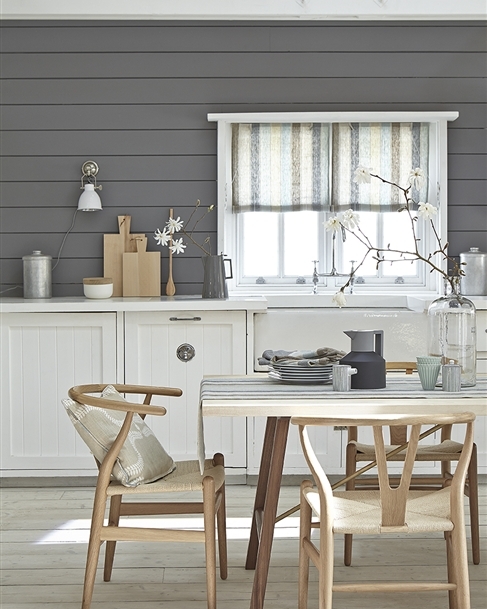 Swedish Blinds also look paticularily beautiful if made from our woven fabrics, where the fabric looks the same on the front and the back. 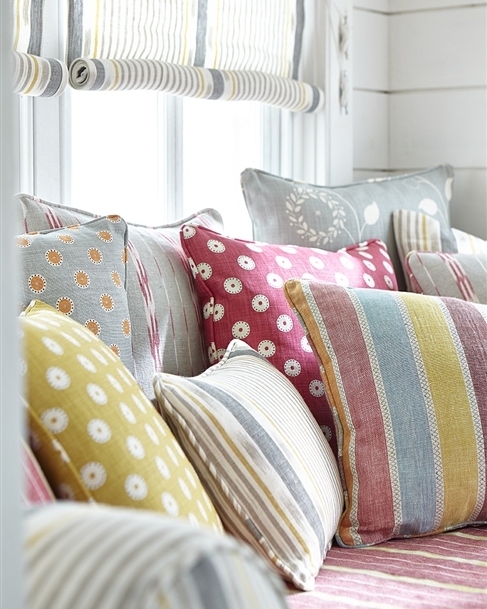 This is the fabric type that the Swedish use for their making their traditional blinds. 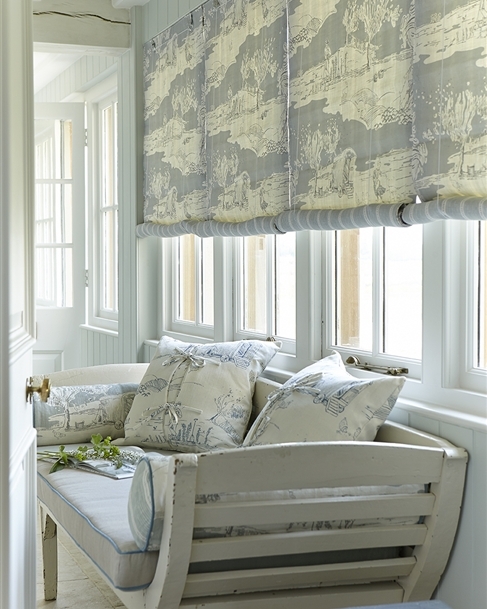 It is an informal and relaxed style of blind. We recommend that these blinds are used on windows where you can reach the top, you need to help the fabric to roll up by hand as well as by the cord. If you wish for a tightly rolled up look you will need to do this by hand as the cord on its own rolls the fabric up in a loose roll. If two fabrics are used together the front fabric can crease and bag. For a blind over 40cm it is advisable to use a woven fabric that doesn't require a lining fabric, to minimise the effect of this. Above a kitchen sink is a difficult place for a swedish blind as usually you can't reach to sort it out, better to have a roman or roller blind with a rotary track and a continuous chain. This blind is supplied on a wooden batten with a cord. 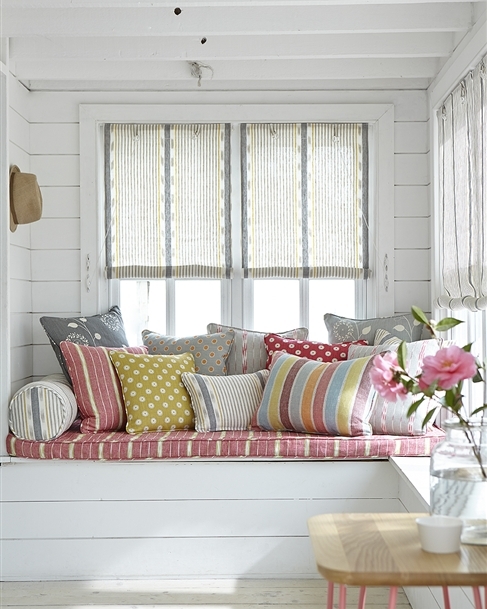 Please note that the maximum width a Swedish blind can be made to is 127cm. Young children can strangle in the loop of pull cords and chains that operate window coverings. New safety regulations BS EN13120 from 28th February 2014; please read and follow the instructions provided with your blind and use the safety equipment supplied. If you have any questions, please contact us. Width: Measure recess at several points; give the narrowest measurement minus 1cm for clearance so the blind will run freely. Length: Measure from the top of the recess to the bottom. Width: Measure the recess width and add at least 5cms on each side of the window.